In the year 1917 an idea of a local history museum was born in Kaskinen. Already at that time there was a large amount of donated objects which were stored in the town storehouse. The idea of a local museum did, however, not raise any interest. 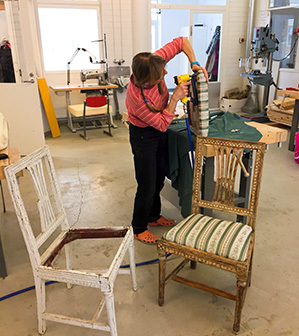 In 1974 voluntary activists set up an association, Kaskö hebygds- och museiförening, to manage, preserve and take care of the existing collections which had considerably grown over time. The association was engaged in museum activities in a fairly inappropriate place for about a decade. 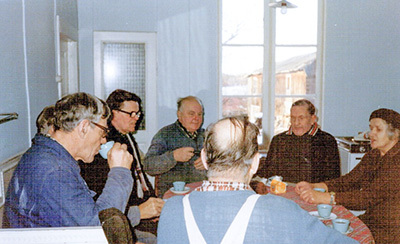 The souls of the association together with with voluntary members were in 1982 able to place the museum's collections in a restored building at Rådhusgatan 48 and open the museum for the public. 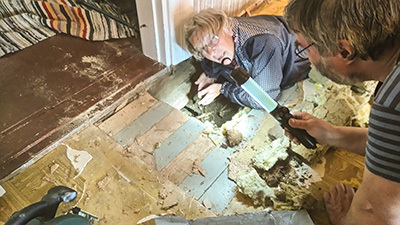 The voluntary work with priceless contributions still continues and today the association has 120 supporting members of which around 30 form a very active core. The active ones convene regularily for various events, joint efforts and pleasant socialising. We manage, restore and take care of the museum's extensive collections. We accept donations and we catalogue and document each item. Every year a temporary exhibition with connections to the local history of Kaskinen is organised. We also offer guided tours for visitors. We raise money for the operation and maintenace of the property through different happenings. We actively strive to engage new members to the association. Like in most other museum associtions, the average age of the members is fairly high. It is very important to activate younger people to secure the future of the museum. To become a supporting or active member of the association is very easy. Please contact the president or the secretary. You cand find the contact information on our home page.